Well It is snowing here again LOL. We have like 6 inches of snow so far and its still coming down. Again I am ready for spring haha... Have a great weekend. 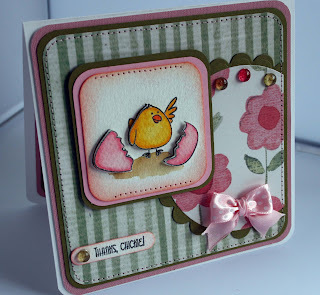 Isn't this too cute I just love this stamp. This is another CD stamps one. It is watercolored of course and the paper is Lasting Impressions. Saying comes with their stamp set. 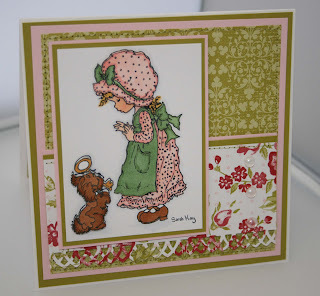 Here is another card I did using CD stamp set. Isn't this bunny too cute. 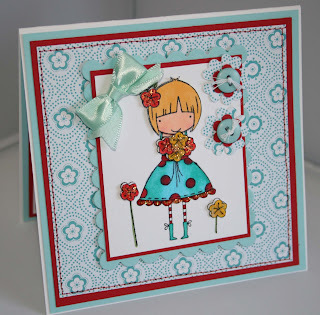 This one is watercolored and dotted background paper is Papertrey's new paper. Ribbon is also papertreys. Isn't she too cute. 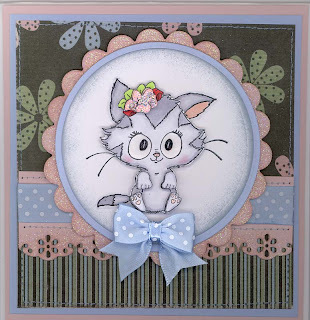 She is a new digital stamp by Victoria Case. This one is really fun and simple to make it took me all of 5 minutes to do maybe. Print out with your favorite paper. My choice is Neenah Classic Crest which I buy by the Ream at Anchor Paper for $22 - I buy the 80lb cover sheet but they also sell 140lbs but for copics since its stury 80lbs is better cause it soaks through faster. Which is perfect for blending. Then I distressed the edges and colored her in copics. 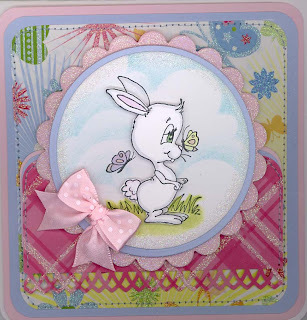 Added stickles and her bunny tail is actually in the baskets as you walk through Joann's on the way through check out. They costed $1 for a package of 100 I think it was. Very cheap... Then added some ribbon and sewed along the edges. Would make a great "Guys Card". I got my CD stamps order the other day. They were having a 20% off sale. This one is watercolored and added lots of layers. 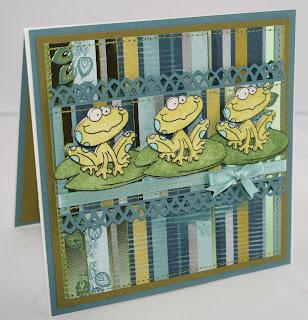 Ribbon is new paper from Papertrey. I received my teenage Anyas and my Skater Ian... Isn't she too cute. I mostly did piecing with this one along with some copic markers... 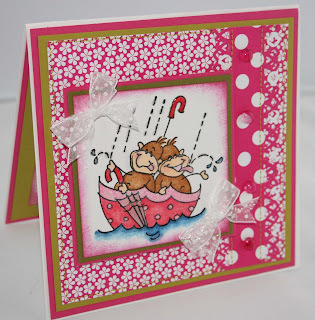 They are very fun to use... Love that papertrey Ribbon also. 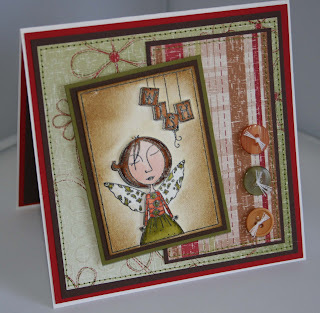 Here is a card I made from my new Whiff of Joy stamp kit. Designer of this kit is Elisabeth Bell. I just love her designs. 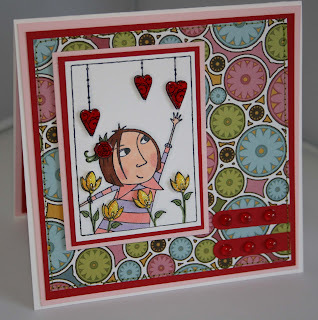 She is going to be creating stamps for 4 different places this year... I can't wait. Isn't this little guy too cute. He can be found at Taylored Expressions. Who doesn't love cupcakes. He is watercolored on fabriano cardstock. Today was a Fabulous mail day. I received all the new Penny Black stamps from HMstamps. I got some new Hedgies and little bears. And then if that wasn't great enough I got some new stamps from Whiff of Joy..... I will be making them on my days off. 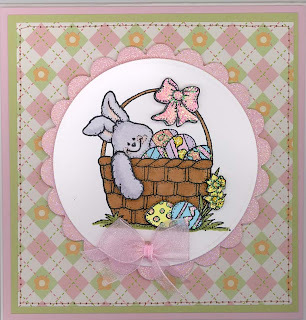 Here is one of the cards I did from the designer LeeAnn Ellis. She has 6 new stamps coming out this month which are just adorable. Anyways... This was watercolored and paper is Chatterbox. 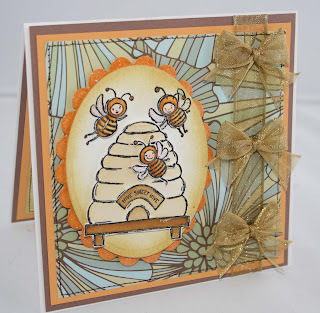 Here are some cards I made with some new digital stamps from Victoria Case. Arn't they just too cute. 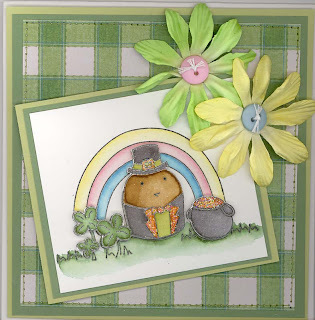 Both digital stamps are now available on her website. giving away free stamps.... Be sure to check it out. 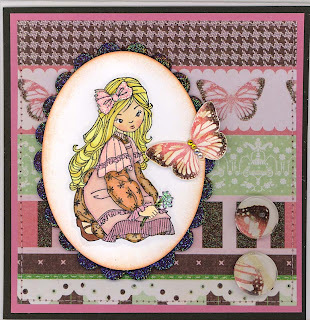 Blog candy can be found at Whimsical Butterfly be sure to check it out. New Rubber is a gal's best friend... along with diamonds of course. Isn't this little chick a cutie. This is from elzybells. I colored it in markers and added stickles and lacquer to parts and buttons for emebellishments along with some flowers that i got from Walmart.... Hope everyone is having a great week. It's been raining here for last 2 days. Very wierd weather for February it almost feels like fall again. Michelle over at The Card Gotto is giving away some blog candy for getting 100,000 + Blog hits... Congratulations Michelle and be sure to check out her blog candy. 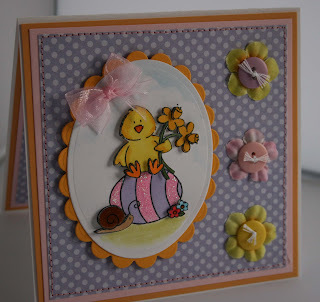 Here is a Easter card I did over the weekend. I believe the stamp is from Darcies. 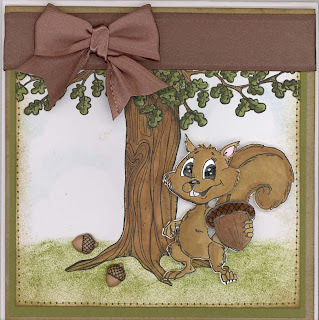 I just love this little guy I think he is so cute and is fun to color. I colored this in markers. 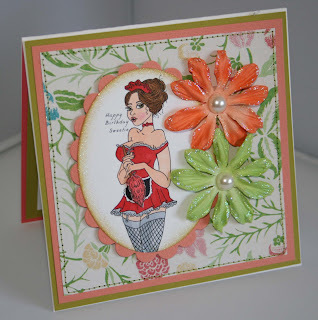 Maureen over at My Case Studies Blog is giving away from Bella stamps... Gotta love free rubber. Check it out. Morning I hope everyone is having a good weekend. Last night was my Monday so I just got off work. I thought I would post a card I did on my days off before I went to bed. This one is from Elzybells I just love it. 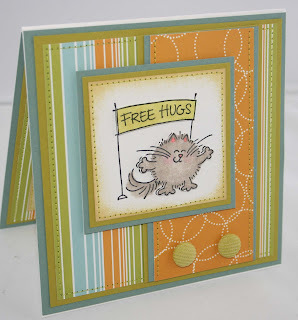 I stamped it on Kraft Paper and colored it with colored pencils and OMS. 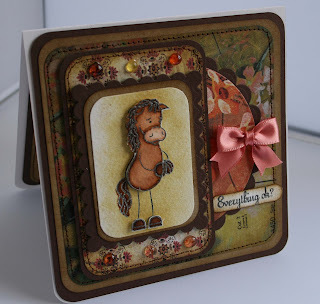 The background is distressed with brown and I used a SU background stamp on it cause I couldn't find any paper to match. The next layer is vellum same with the scallop. I added lacquer to the flowers so they would stand out and stickles to the veil and confetti. Just a quick FYI as me and my husband are on our way out the door to Apple Bees and we are going to the Container Store to get me a ribbon rack. I am so excited. 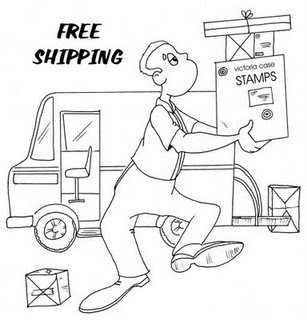 See now i lost my train of thought haha... Victoria is having FREE SHIPPING on her website for Red Rubber stamps - Isn't her little shipping guy adorable... See her add below.. Isn't this just the greatest stamp ever. I just loved it as soon as I seen it. 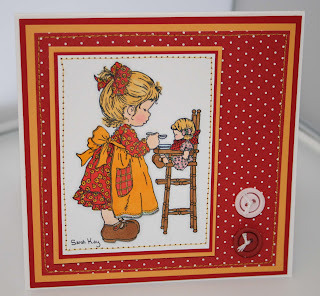 You can get this stamp on red rubber now at Victoria Case Art Designs. 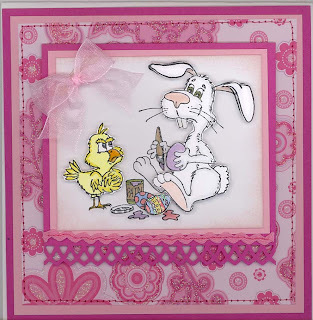 Just in time for your Easter cards. That little chick looks so mad at that bunny doesn't he. Card was colored in markers then I added lacquer to the paint areas so they were shiney and looked wet. Parts are 3d of course. Today I am waiting on the furnace guy this morning to come and give me an estimate we need a new Furnace / AC unit. I am so not looking forward to this but it has to be done unfortunately. I hope everyone had a fabulous week and a great weekend coming up. Weather is finally normal here right now its 10 above. I can live with that. 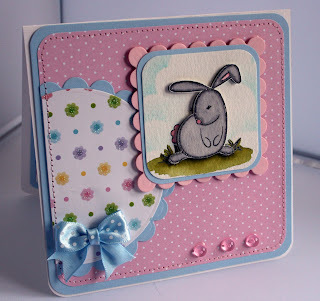 Here is another card I made by Victoria Case Designs. This little guy is available immediately on her website. 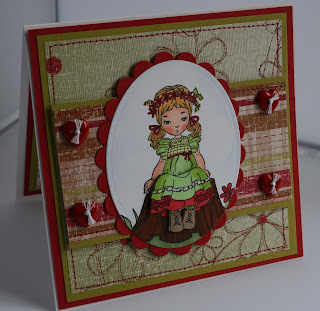 The background tree is from Magnolia and the I used a couple little buttons I had on the card too. I colored it in copics and added some lacquer to the top of the acorn and eyes and nose... Grass is just distress ink. 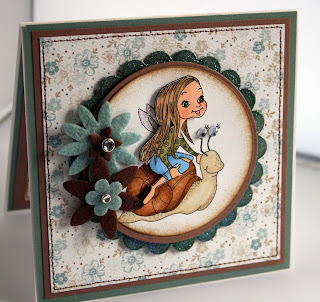 Victoria out did herself again on her new rubber stamps they are beyond cute. 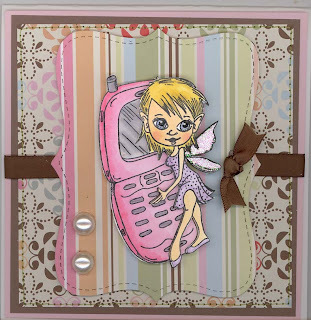 Check out this cell phone fairy isn't she just too adorable. She is colored with copics and parts of her are 3d. She is really fun to color.... Have a great night. Arn't these little guys cute too. 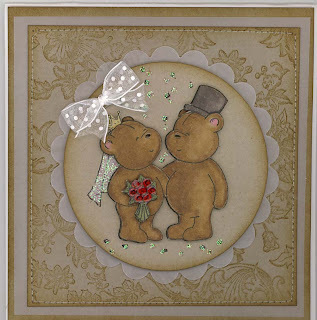 He was in the spring 2009 release from Stampendous. I bought them at KTstamps again. I used my punch which i believe was a Martha Stewarts one for the border . I also have a few different ones but this one is my favorite. 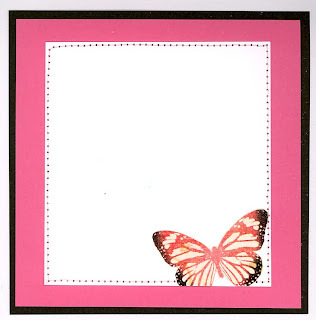 Here is a card I made using my new Stampin Up set. I can't remember the name something about Bee's I imagine. It's a very cute set though. This one is watercolored and made parts 3d. Adorable huh? I can't even tell you how many SU sets I own last I counted I was at like 400+ but now how many actually have ink on them is another story. I unmounted them all last year so they are all in CD cases but I hardly ever use them. I like the single stamps instead. Hope everyone had a great weekend. We actually seen temps in the 30's the last couple of days which was sooo nice.